The prospective merger of multinational chemical giant Bayer with agricultural mega-business Monsanto could concentrate food industry power to an unprecedented extent. With a decision expected in early April, pressure is building on the European Commission as it deliberates over whether one company will be allowed to dominate our food systems. We sat down with Danish MEP Margrete Auken to discuss the deal’s implications for food, farming, and health in Europe. Green European Journal: Bayer’s planned 66 billion dollar takeover of Monsanto needs EU approval to go ahead. How close are we to a final decision? Margrete Auken: The current deadline is close: April 12. It has been moved several times though. We can only guess at what the reasoning behind delaying by only five days is, as it has happened twice over the last month. Nevertheless, we do know that there is a lot going on in the industry these days. Is the decision postponed because Bayer and Monsanto are trying to adapt to the expected requirements of the merger beforehand? Bayer is rumoured to be selling off its global vegetable seed business, as well as all its digital farming data, to the chemicals multinational BASF in order to get the Commission to approve the acquisition of Monsanto. At the beginning of February, the Brazilian antitrust agency approved the merger. The Brazilian approval is key to sealing the deal, due to Brazil’s overwhelming quantities of grain production. It was approved despite loud protests by soy and cotton farmers, who raised the concern that the merger will give the combined companies excessive power. Are such protests the reason for delays? What does the industry know about the process in the Commission? Now, I know Margrethe Vestager, the Commissioner for Competition, quite well. She and I have both been members of the Danish Parliament for many years, and the political alliances between our two parties have at times been quite strong. I trust that she has the interests of the European citizens as well as the global community in mind when she is assessing the proposed acquisition. The global market of seeds is highly concentrated, as is the global pesticide market. Farmers see their cost rise dramatically, while the choice between products decreases. Commissioner Vestager is not known to be a strong environmentalist, but a fair and functioning market has been one of her core focuses – I hope she keeps that in mind. As Commissioner for Competition, Vestager possesses huge executive power and she has shown that she does not fear the tech giants. Now it is time for her to show us that the EU also has the muscles to take on the dirty food industry. As the rules are now, she – and she alone – has the responsibility for ensuring that no company will reach a size where they are beyond the control of democratic institutions. Monsanto’s aggressive behaviour towards governmental bodies and, especially, its lawsuit against the people’s movement of Avaaz should set off alarm bells in the offices at the Directorate-General for Competition. European citizens are relying on her to not release the monster that ‘Baysanto’ would become. 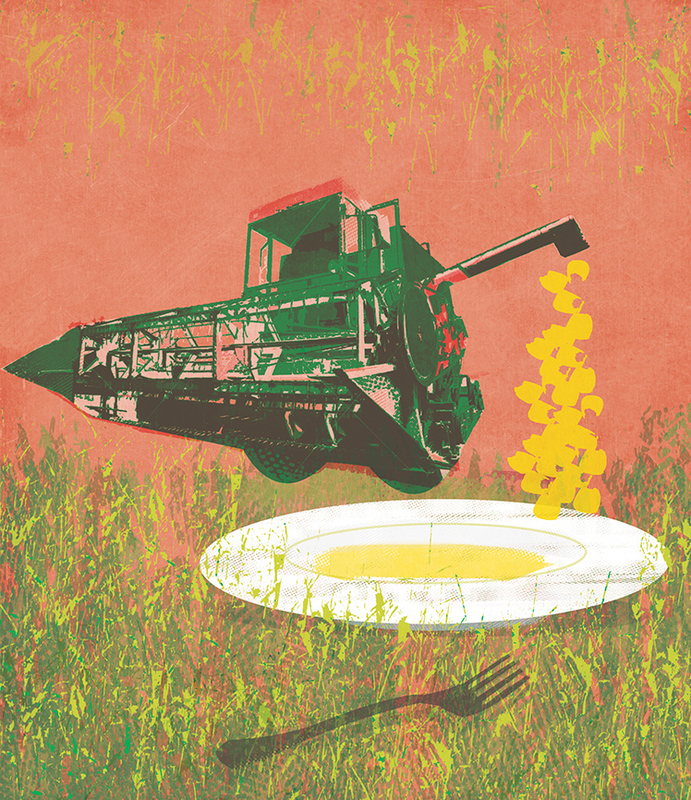 Mega-deals, such as the recent mergers of Dow and DuPont or ChemChina and Syngenta, are reshaping the agrichemical business worldwide. The Commission has executive, judicial and legislative competence over competition unrivalled in any other policy area. Whose interests does competition policy serve, and don’t deals with such far-reaching consequences deserve a broader political discussion? I hope the Commission has learnt from past mistakes where we have allowed mega-companies to develop. They negotiate favourable tax agreements with states and challenge the EU when they do not get their way. At the same time, these companies are too big to fail and have major influence on markets across Europe. A merger of this size should not rely on just one person. It has major influence on all Europeans, and so should be addressed by all relevant Commissioners and require the approval of the European Parliament and Council as well. Competition policies are the citizens’ and farmers’ bulwark against multinational companies who are looking to maximise profits at the expense of human health, welfare, environmental concerns, and nature. Not all large corporations are like that – but we need protection against those that are. Scientists, citizens, farmers, and the former UN rapporteur on the right to food have all raised concerns over this merger. This must be taken seriously. You ask whom competition policies are for – all policies should have the interests of citizens as a cornerstone. A strong economy is in the interests of citizens but so are sound environment, human health, biodiversity, and a stable food supply. Such a merger is not just about competition policy, really it’s about food system policy [read more on food policy]. What kind of food supply do we want? Do we want farmers to be independent and to have choice regarding farming methods, seed input, and which pesticides to use (although I of course prefer them not to use any poison at all) or do we want them to be controlled by a few companies who care little about the individual farm or the people working on it? Do we want global companies that are designing genetically modified seeds to withstand pesticides to be the main producers of those very same pesticides? Do we want global companies to control the market for dubious pesticides and at the same time to produce the medicine to cure us when we get sick? In the agrochemical sector, it is not only about our economy. It is part of something much bigger that affects everyone on this planet – even if most people don’t necessarily realise it. It has been seen numerous times that the Parliament adheres to the precautionary principle and is much less willing to take risks on behalf of the citizens than both the Commission and the Council. The best examples are the campaign against glyphosate [read more on glyphosate], the objections against the authorisation of genetically modified organisms, and the criteria for endocrine disruptors. MEPs are the only politicians in the legislative procedure who are directly accountable for their actions, which is why it is imperative that we have a legal say in decisions of this magnitude. Monsanto was proven to have influenced the results of studies into the safety of glyphosate as part of its lobbying efforts. Does the EU have robust enough mechanisms to resist lobbying from big multinationals? No. The glyphosate saga shows very clearly that Monsanto has had its fingers deep into EU policymaking. The Monsanto papers were clear evidence that Monsanto has manipulated US operations and has tried to influence EU regulatory authorities. The European Food Safety Agency is required to base its assessment on all data including that produced by the industry itself. When the European Parliament held a hearing on the Monsanto Papers, Monsanto arrogantly refused to show up and claimed that “it is not the role of the European Parliament to question the credibility of the scientific output of… independent EU agencies.” Is it not up to democratically elected representatives of civic society to question the credibility of a study that used data which is inaccessible to us and to the public? Monsanto even criticised the decision to invite NGOs and activists and claimed that the “joint hearing could be viewed as the last attempt of those opposed to modern agricultural practices to influence and frustrate the EU scientific and regulatory process to suit their own agenda”. Clearly, Monsanto is not willing to meet civil society and discuss openly their views on so-called ‘modern farming’. They ignore the principles and rules of democracy and refuse to face parliamentarians and answer our questions. Consequently, the presidents of the political groups in the Parliament withdrew the access to lobbyists from the Monsanto Group. We do have some mechanisms in place – but this is a last resort and should not be necessary. Lobbyists need to play by the democratic rules, do their work in a transparent way, and face critical questions at any time. The new Committee on Pesticides in the Parliament is an example of the work that needs to be done to introduce new procedures to limit non-transparent lobbyism. It is the result of months of hard work from the Greens and will assemble for the first time next month. It will look into the assessment procedures in EU agencies and the Greens will work hard for it to conclude that agencies can only build their assessments on peer-reviewed, publicly accessible science. Furthermore, lobby registers for all decision-makers should be mandatory and made public. While it is essential for political work to be in close contact with stakeholders, it must at all times be 100 per cent transparent about which stakeholders are influencing policy-makers and how much. Hundreds of thousands of European citizens have signed petitions calling on Danish Commissioner Vestager to block the Bayer-Monsanto merger. To what extent does civil mobilisation have an impact on the decisions of EU institutions in this area? When hundreds of thousands of citizens express their opinion, EU policy-makers listen. This does not mean that decisions always go entirely in favour of the popular voice. This was clear with the citizens’ initiative on glyphosate, where more than one million citizens protested against the renewal of glyphosate and called for a ban. However, in the end, public and civic pressure did result in only a five-year renewal and not a fifteen-year renewal as first proposed. Civil mobilisation makes a difference! When the Commission first proposed to renew the glyphosate authorisation, hardly anyone had even heard of glyphosate. Certainly, nobody in the Standing Committee, the body composed of representatives of Member States responsible renewal, had any idea how controversial it was. It required a focused and continuous campaign by the Greens and by civil society to raise this on the European agenda. Now, Monsanto has called out to farmers to help them prepare for the next renewal, knowing that it will be extremely difficult to convince the Standing Committee again in 2022. Food giants like to claim to be the guarantors of ‘food security’. What will the Bayer-Monsanto merger mean for our environmental and health security if it goes ahead? Market concentration is the very opposite of food security [read more on food security]. A healthy food system depends on diversity, environmental protection, no depletion of soil and resources, no toxic chemicals in our nature and fields, a risk-based approach to any new farming method, and the precautionary principle at the core of all political decisions. The merger represents the exact opposite. Today, five companies control 95 per cent of all vegetable seed – two of those are Bayer and Monsanto. From 2000 to 2010, the total input costs for farmers rose by 40 per cent, while the prices of produce when it leaves the farm increased by less than 25 per cent. These trends are more or less certain to be multiplied following the Baysanto merger. Baysanto would dominate the agricultural inputs industry and enjoy huge economies of scale. Where would this merger leave other food producers and farmers looking to transition towards sustainable forms of agriculture? In any sector, diversity is key. It is important that the farmers have the knowledge, capacity, and supply chain diversity to make their own decisions on how to manage their farms in a safe way that prioritises economic output, environmental protection, and health protection equally. With only a handful of companies controlling all input of both seed and pesticides, the farmers have lost their independence and bargaining power. The farmers are left with no choice. Now I of course would like to transform the intensified agricultural sector into a purely organic sector, promoting agronomic, biological, and technological innovations which safeguard the fertility of soil and increase efficiency of irrigation. This transition is not only possible – it is direly necessary. Last year, the UN published a report which clearly concluded that it is possible to feed the planet without pesticides. The current extensive use of pesticides has not managed to eliminate hunger. It is a matter of fair trade, fair redistribution of resources, and respecting the right to food. Over the past 50 years, an agribusiness industrial model based on mass production and short–term profit has steadily come to dominate Europe’s food industry. How can the EU move from regulating agribusiness to reshaping the way in which we feed ourselves? Shortly, we will be negotiating the next Common Agricultural Policy (CAP). The objectives of the CAP have not been changed since 1962, although farming clearly looks completely different today than it did back then. The objectives must reflect both a healthy food system and a strong environment, and guarantee fair social policies. Technology is not the panacea to all agricultural challenges. Many farmers already wallow in high debt, and technological solutions, which must be bought from giant corporations in a one-sided market, are not the solution to their financial situation. Technology may – to some degree – be part of the solution, but the foundation will have to be a sound agricultural management based on respect for ecosystems. We want to reduce input dependency and the control which corporations exert over food chains, and to increase the autonomy of farmers. We need fair competition between farmers across all of Europe, a grant-based support system, and to avoid debt and dependency traps that favour big corporations.